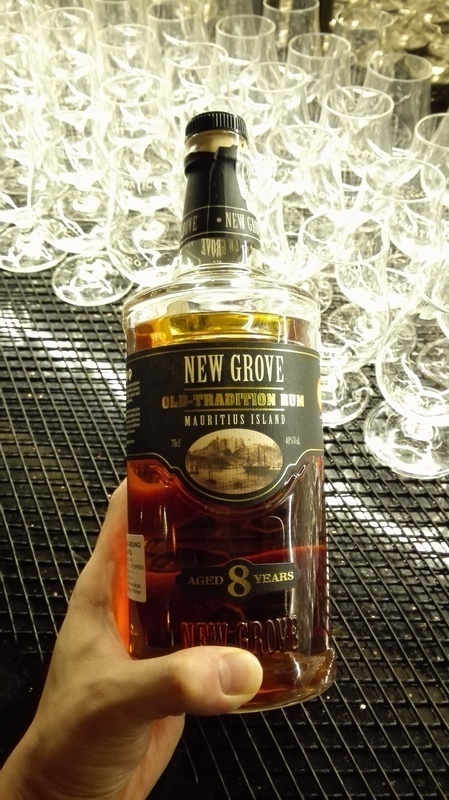 Have you found an online vendor selling New Grove Old Tradition 8-Year? Woody, ashy, pop corn with light coating of caramel with fresh stone fruits aroma. Taste slightly similar to what I got on nose. Smokey, ashy and sweet pineapple with a tiny bite (sour bite which usually found in unripe pineapple). Soft tannin from aging which stick on to gum which I enjoy pretty much. Dry and long finishing with aroma of banana lingering. Enjoyed this one. A nice nose with a bit of hay, citrus and sugarcane. Sipping the rum I pick up slightly grassy, sweet peaches fading into a complex woody finish with light notes of nutmeg. Has a little bite, but with decent balance. Další kúsok z rumového kalendára. Pekná medeno zlatá farba, v pohári sa tento 8 ročný rum z Maurícia vyznačuje príjemnou tradičnou rumovou arómou prevažne po sladkej vanilke a orieškoch. Podľa môjho názoru má výrazný zrecí potenciál. Chuť zaostáva za aromatickým vnemom. Ako 8 ročný rum - taký priemer, ale inak nič extra. Starší New Grove bude isto vyspelejší hlavne v chuti. Reminds on medicine, bit smoke and herbs, harsh alcohol, so not according to my taste. J ai goûté ce rhum dans un calendrier de Noël. Je débute dans la dégustation de rhum. In der Nase der Duft von einem Karamell Bonbon das auf Eichenholz klebt und langsam an der Sonne zerläuft. Auch die Mauritius typischen medizinal-pflanzlichen Düfte sind präsent. In Gaumen eher etwas sperrig und wild im positivem Sinn. Holz, Harz, Mango, Pflaume buhlen um die Gunst der Geschmacksknospen. Im Abgang lang anhaltend, Kräuter und Gewürze mit einer Priese Salz. In the nose the scent of a caramel candy that sticks to oak wood and slowly melts in the sun. Also the Mauritius typical medicinal herbal scents are present. In the palate rather bulky and wild in a positive sense. Wood, resin, mango, plum vie for the favour of the taste buds. Long finish, herbs and spices with a pinch of salt. Smells like there is lots going on, including some orange peel, but unfortunately there isn’t a lot of taste of anything. Although I am from the cold north of Denmark, then my family still have quite a history with Mauritius, so it is always special for me, when a bottle from this island nation hits the table. 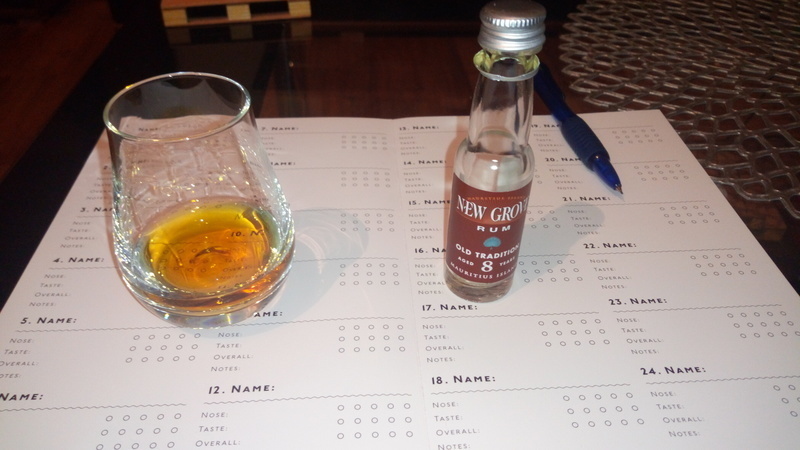 Overall: There is a lot going on with this rum and it packs a lot of flavour. Complex, but still friendly to more inexperience rum lovers. Nose reminds me of apples, the actual flavor is very... unique. Seems like they mixed beer or something into this, probably a result of whisky barrel aging. Very spicy and harsh on the tongue, wax on the nose. Definitelly not my kind of a rum. 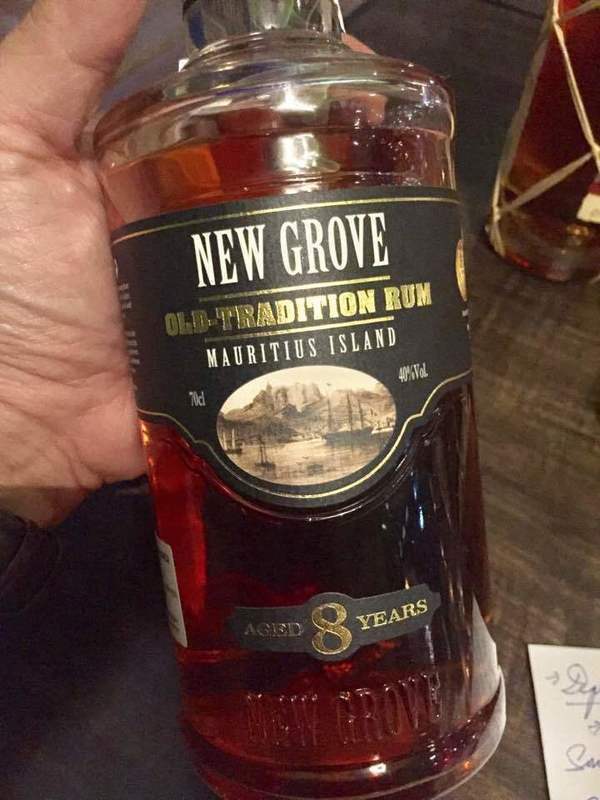 8 years aged rum from Mauritius with no additives. Aroma with dried fruit, honey and hints of tobbaco. Flavour is rich with some refreshing tones in the middle. There are hints of tee, cinnamon and bit of smoke. Long mild, sweet and woody aftertaste. Doften är ok lite fruktig, kryddig i smaken, torr i avslutet. Saknar fyllighet. Ok.
Färgen mörk gul bärnsten kanske. Fruktig arom med inslag av russin helt klart. Kryddig smak med rökinslag men inte på värsta viset. Spritig eftersmak med inslag av anis/lakrits. Nja. 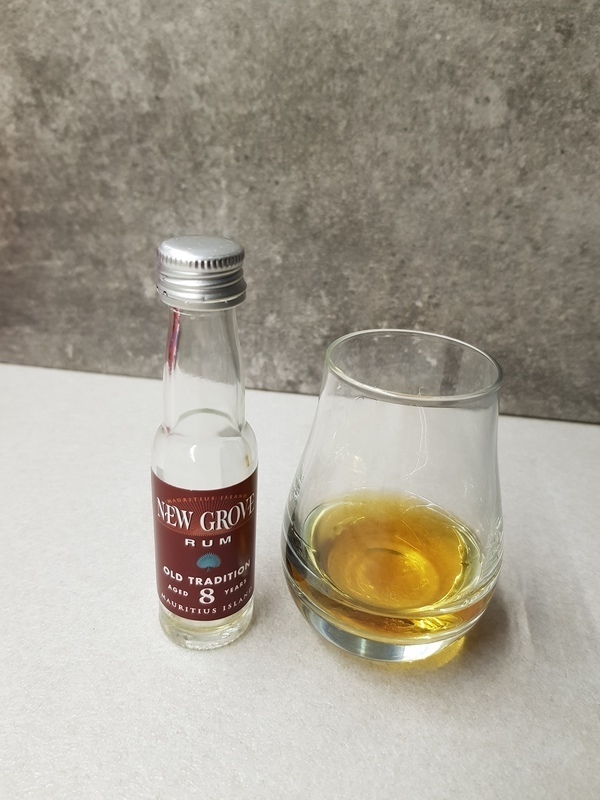 Tried the New Grove Old Tradition 8y rum for the first and very last time. Such a nasty smell is followed by a rubber infused burn. Contemplating if this would be a 1 or 2, but then again this is not amongst the worst, so 2 it is. Bottle design is ok, label looks cheap. Color is semi dark but the rubbery smell cannot be hidden away. Very dry, nothintg special. A little bit of sweetness would suit me more. Really good rum but overprised in ots category. Tasty. Ein ehrlicher leicht fruchtiger unverfälschter Rum. Kräftig im Abgang aber ohne zu brennen. Prima. A good rum with spicy and fruity notes. Banana, apple with oaky notes. Woody and spicy finish but not very long. Nothing special. Un rhum classique, qui n'Aarien de bien exceptionnel mais passe-partout! Bonne dégustation!